Description: In this topic I show how to get data from Lidar sensor from stm32 family microcontroller. In my test , stm32f7 discovery board used. Use STM32CUBEMX to set up i2c interface. 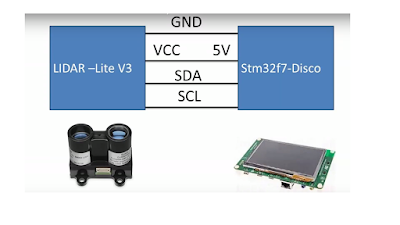 In this topic I show how to get data from Lidar sensor from stm32 family microcontroller. In my test , stm32f7 discovery board used. Use STM32CUBEMX to set up i2c interface. You can check this topic. In my code I reference from this site.